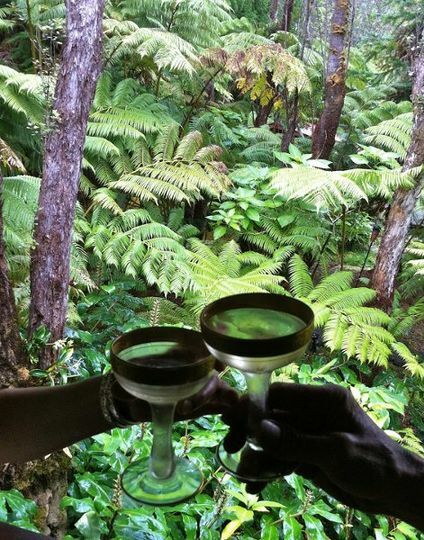 Mahinui Na Lani is a rainforest-style wedding venue located in Volcano, Hawaii just outside Hawaii Volcanoes National Park. 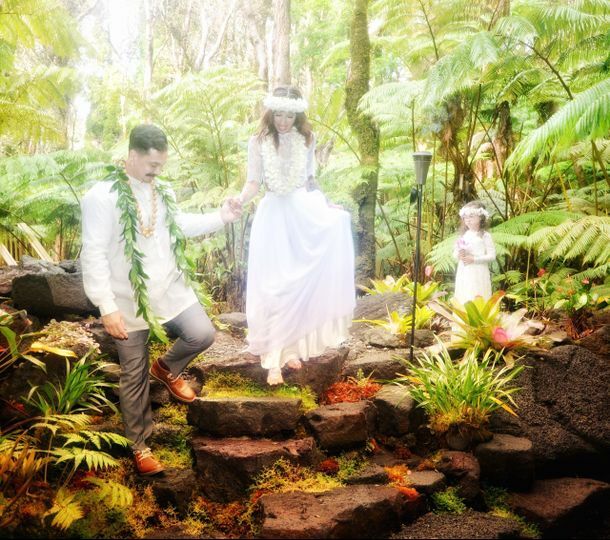 They specialize in intimate elopements for couples looking for a romantic destination for their ceremony, reception, and/or honeymoon. 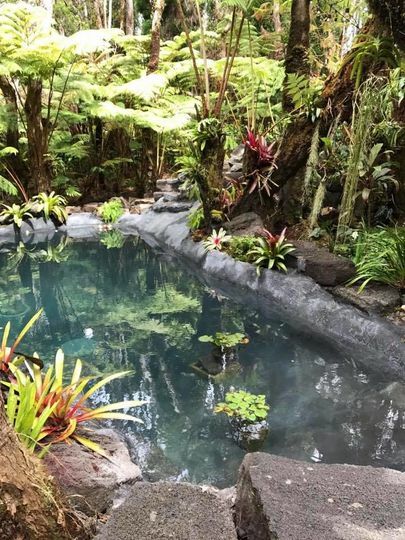 Their experienced staff will customize your experience to suit your individual needs and preferences, ensuring your unique vision comes to life. 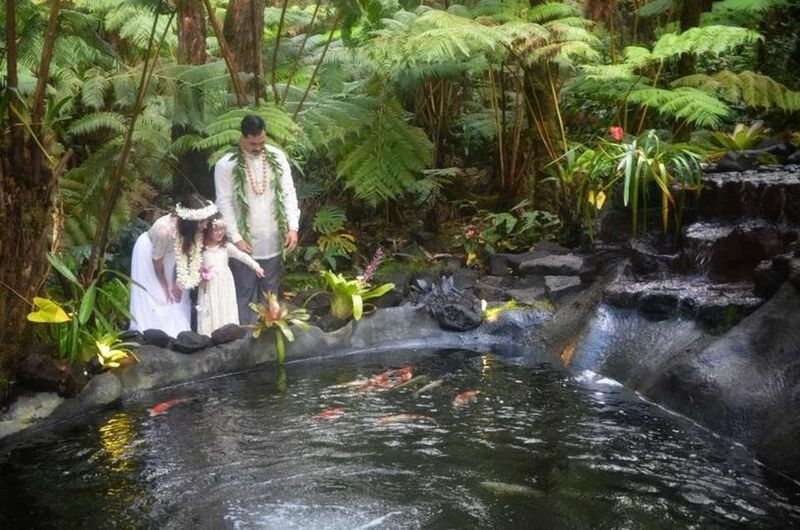 Mahinui Na Lani is an all-inclusive venue that looks forward to turning your ideas into a reality. 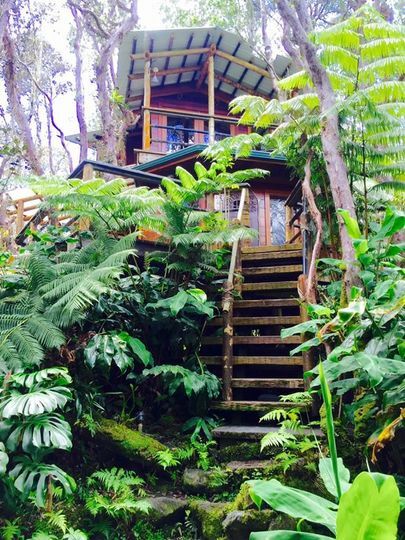 Couples can accommodate up to 24 guests at this intimate venue set in the rainforest. Their beautiful Wedding Pavilion, carved from tropical wood, is surrounded by giant tree ferns under the canopy of an ancient forest. 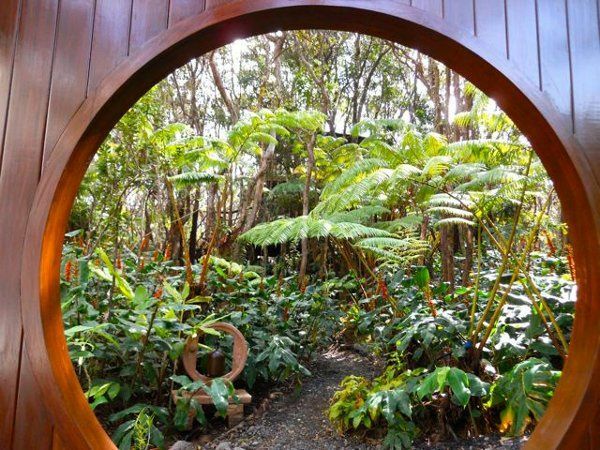 Couples will enjoy this secluded pavilion which was carved and shaped to echo and pay homage to the forest it sits in. Your choice of music will filter in through their sound system. 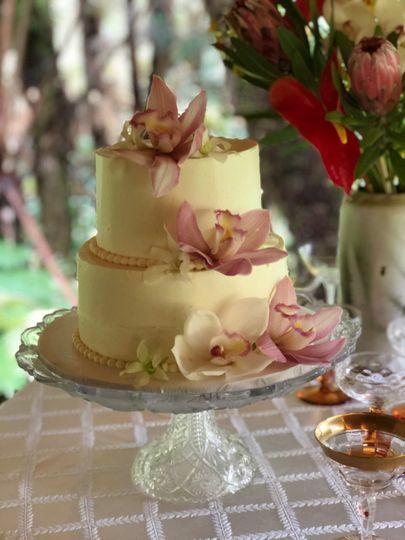 For your reception, you can celebrate in their outdoor room, which is protected from the elements by a wide roof pitched over a hardwood floor. A koi pond with a waterfall is nearby. I cannot say enough kind words to express how phenomenal Gail & Robert were to us on our special day! We had to plan our wedding remotely (I reside in Florida, and the event was in Hawaii) which could have been tedious and disappointing. 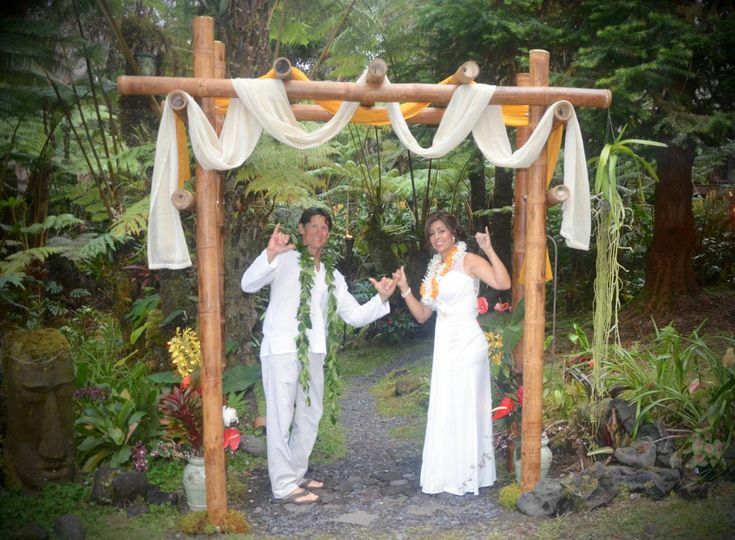 However, the time, thought and detail that Gail full-heartedly put into creating our ceremony and celebration, resulted in a harmonious day, in a magical place -- it felt like everything was designed especially for us! 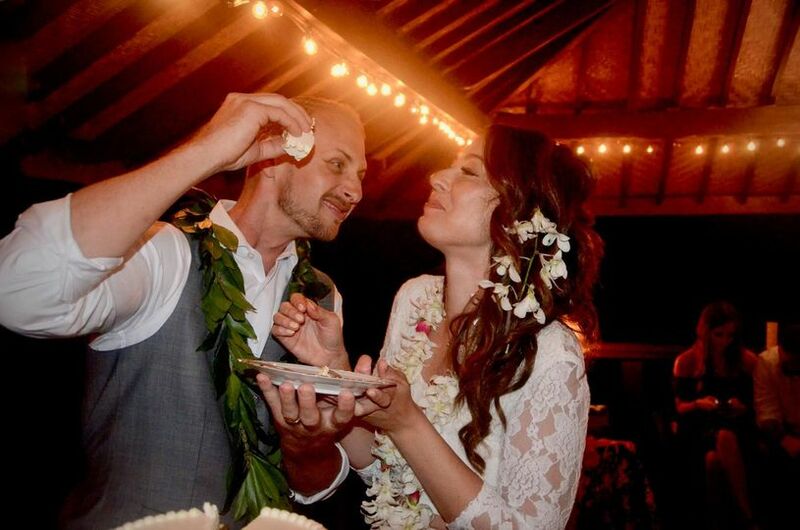 Everything -- from our "blessing circle" on the beach accompanied by handmade leis, to our beautiful and delicious wedding cake, to the collection of amazing photos they captured for us -- was perfect!!! My husband and I enjoyed every moment we shared with Gail & Robert -- they were our "family" for the day, as we had a destination wedding; they will always hold a special place in our hearts! We plan to return on our 1 year anniversary and will certainly be celebrating again with them!